Read the full article on the Greenville News website. 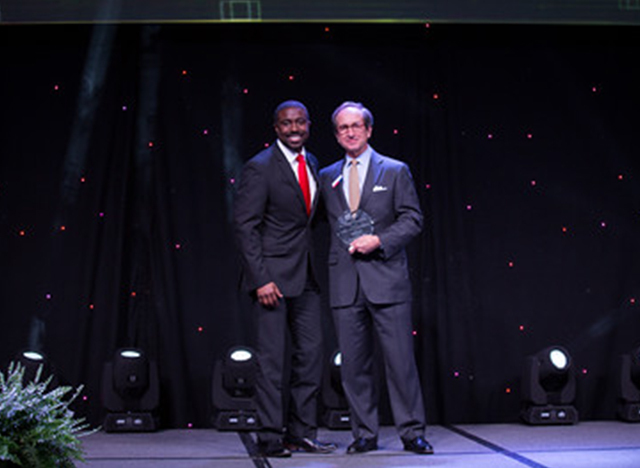 The Minority Business of the Year Award recognizes the achievements of local, minority-owned businesses and the contributions they make to Greenville. Nominees must be actively involved in the community and demonstrate leadership and mentoring characteristics. Each potential candidate must be a minority business as defined by the United States Department of Commerce, must have been in business in Greenville for at least three years and must be a for-profit organization, along with other criteria. James Jordon has been willing to learn how to grow his business. Now that his company is well on the road to success, he is teaching others how to do the same. Jordon has taken his experience and used it to grow a thriving enterprise. But that’s just the beginning. Jordon’s company has experienced triple-digit growth in business revenue in two years. “A lot of that is attributable to government work,” he said. Jordon utilized classes from the Small Business Development Center and the Small Business Administration to help start his business on the right foot and make sure it was poised for growth. Now, Jordon is focused on giving back. In addition, Jordon’s company is involved with Habitat for Humanity, Mercy House and Junior Achievement. The company also sponsored a cotillion candidate through Epsilon Tau Omega – AKA Sorority. “With Junior Achievement, we go out to the elementary schools and speak,” he said. Jordon also feels strongly that sponsoring a cotillion candidate opens the door for a young person’s future. Jordon, who grew up in Wisconsin, said the Minority Business of the Year Award is one that reflects Greenville’s diversity. Congratulations James! You have been consistent and worked hard and it is paying off! As always, I am so, so proud of you and you look so darn handsome! I wish you continued success.